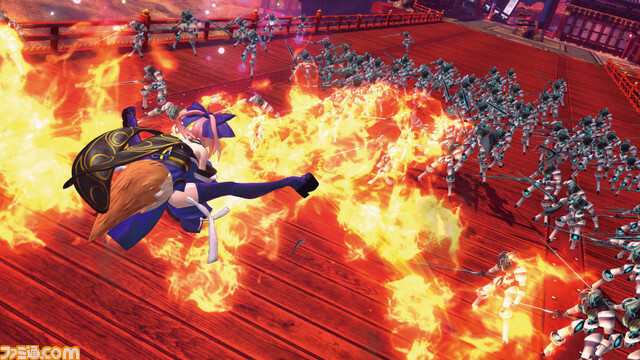 In the latest issue of Famitsu Marvelous has announced that Fate/EXTELLA is coming to PS Vita. The game will be an action game that tells the story of what happened after the Moon Holy Grail War. The story has been written by Kinoko Nasu and Hikaru Sakurai and the character design is the work of Aruko Wada. 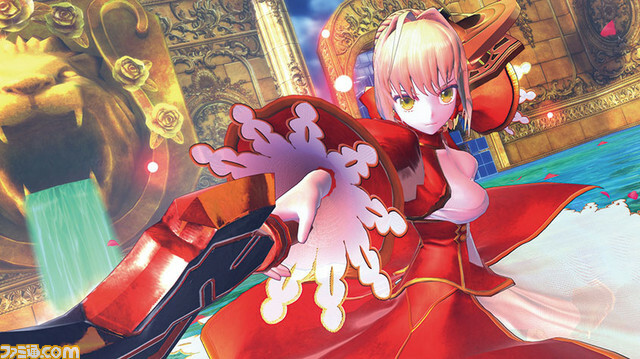 Nero Claudius (voiced by Sakura Tange) is the main character and she is a servant who fought in the Moon Holy Grail War. You’ll also be joined by Caster Tamamo no Mae (voiced by Chiwa Saito), a servant with magical skills, and Saber Altera (voiced by Mamiko Noto). This will be Saber’s first appearance in the main series since her appearance in Fate/Grand Order. Development of the game is around 60% complete and we have the following images thanks to RULIWEB. Keep checking back to The Vita Lounge for all the latest Fate/EXTELLA updates!